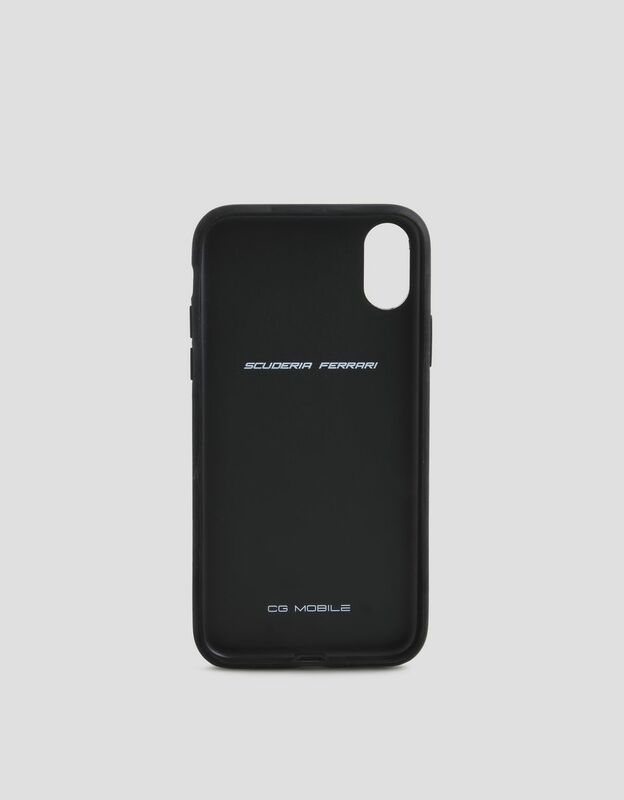 This functional faux-leather iPhone X case with stitching detail is infused with strong racing character. 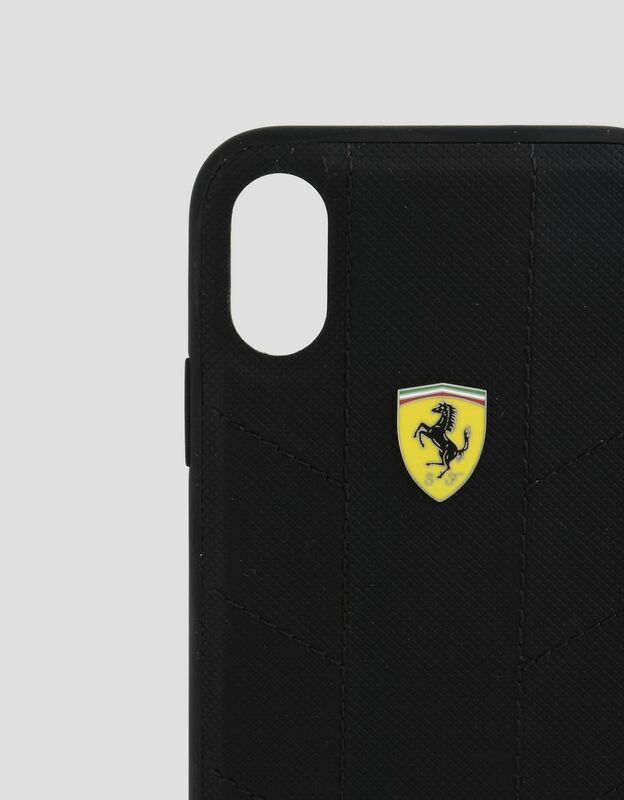 It’s adorned with the instantly recognizable Ferrari Shield in the classic colors. 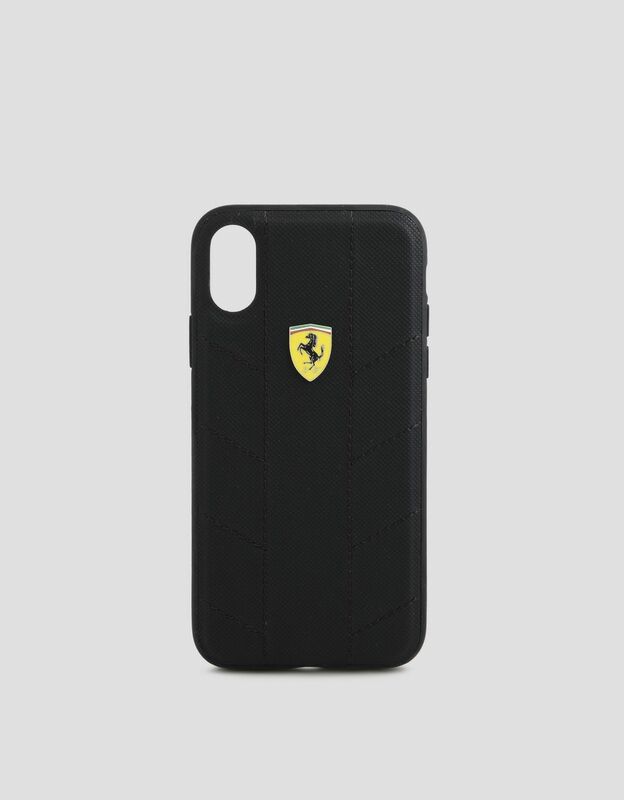 Its brilliant hues and curvilinear silhouette contrast with the dark background and geometric lines of the stitching, a reference to the bold design of car tires. 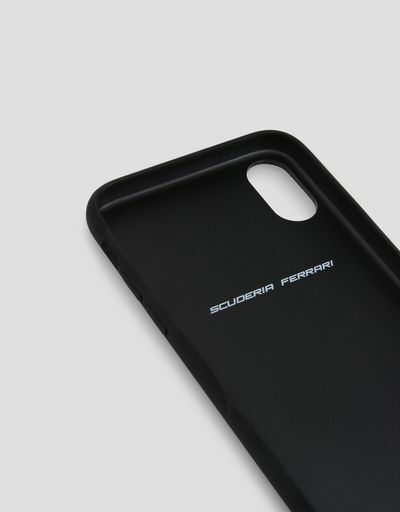 The case is built with sturdy edges designed for practical access to all buttons and ports.